I think I've mentioned before... I'm the curriculum chair at my son's preschool. One of my jobs is setting up the indoor and outdoor pretend play areas. 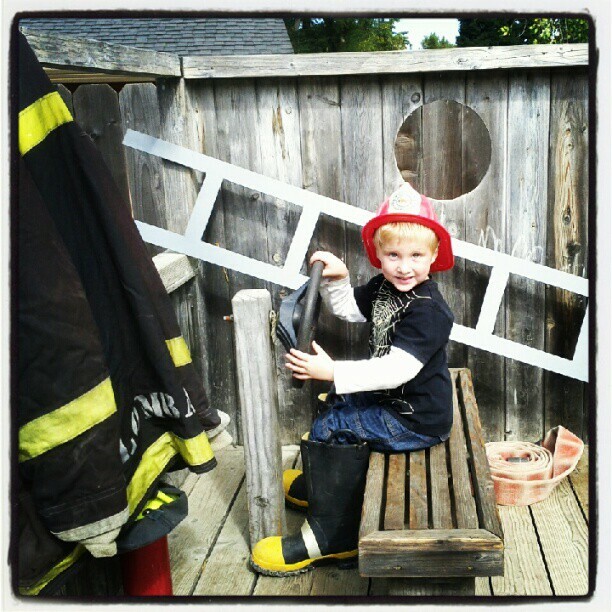 Right now we have a firetruck and pumpkin patch set up outside and a doctor's office inside. I started a Pinterest board for other pretend play area ideas like this that I am just starting to add to. What sort of pretend play area would your child NEVER want to leave? My husband took our 4 year old camping last Friday night. He is seriously father of the year. 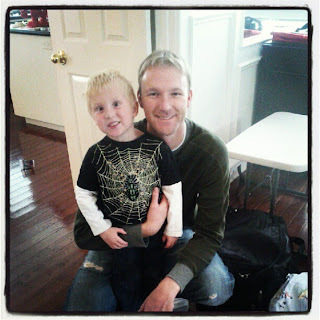 They didn't sleep much, so my son came home and was way overtired (but won't nap anymore). 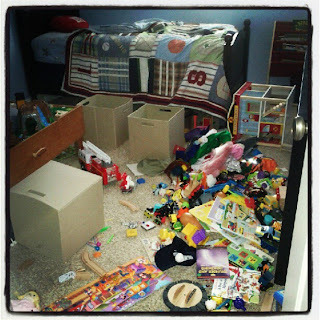 If you've ever experienced an out of control overtired 4 year old at your house, then maybe this picture looks familiar? He dumped every single thing out of every bin in his room. He is still trying to clean it up... and it is Tuesday. I learned several new strategies related to dealing with tantrums on Saturday though... so it wasn't all a waste of time. I'll share some of my new tips with you soon. Do you have any for me? 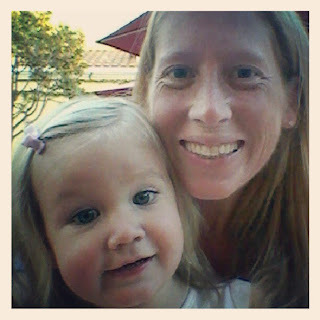 My toddler and I had a girls night out on Friday night. We fed the ducks at a local park, played dress up, and got dinner. I need to be better about scheduling nights out just with her more often! It was so much fun! Do you do date nights with your kids? What are their favorite places to go? Things to do? Today I hosted a RRRalph themed Mommy and Me Book Club with some friends. We used ideas from my previous Virtual Book Club RRRalph post along with several ideas from Mommy and Me Book Club's RRRalph post. We had SO MUCH fun! 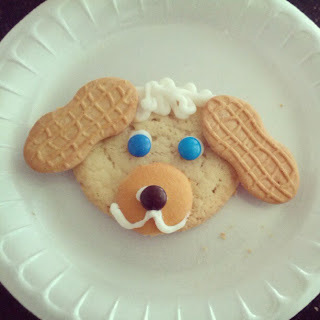 These doggy cookies were a HUGE hit. Thanks Danielle for the great idea! Are you planning to participate in Virtual Book Club this month? Our featured author is Amy Krouse Rosenthal. I'll be sharing more about her books tomorrow. I am SO excited about the book we chose share with you! The next few weeks/months are going to be a little crazy here at Toddler Approved as I get prepared for my new baby (arriving in 4 weeks- crazy!) and as we adjust to have 3 kids at our house! I hope you'll be patient with me as we figure things out! Can't wait to share some of the super Halloween activities with you that we've been doing. Have a Happy Tuesday!